When we started MANTIS a few months ago, we knew we were on to something big but the response we have gotten from advertisers and publishers has been outstanding! Our small team has balanced building out our infrastructure alongside working with our members to build a solution that fulfills the needs of everyone involved. After burning through a couple pallets of red-bulls and 18+ hour days, we are a few steps closer to taking the BETA label off the platform. An analytics platform that builds demographic information about visitors that are relevant to niche industries. Expanding our segmentation options to provide more control to advertisers. Implementing an affiliate program to reward members for helping MANTIS grow. Retarget users who have visited your website in the past. This is a prime opportunity to encourage them to purchase or up-sell additional products. Real-time bidding system where you can name your own price and target websites based on keywords and topics. Legal targeting that keeps your company safe by advertising in areas that support the products and services you offer. Expanded delivery options that include site takeovers, interactive display advertising and more. Multi-platform support to begin integrating our ads into your native mobile applications. A few weeks ago we began our integration efforts with multiple publishers and we are ready to announce the first wave of successful implementations. If you have sent us an application and have yet to be accepted, do not worry as we will finish processing our existing applications this week. In the mean time, we welcome our latest members to the MANTIS ad network. 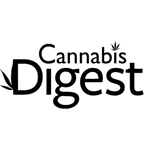 Medical Jane is a multi-faceted resource that empowers medical marijuana patients and activists with news, product reviews and professional insight through its in-depth coverage of the developing cannabis industry. 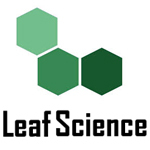 Leaf Science is a Canadian website covering the latest news and facts about marijuana. While still young, their vision is to lead discussion surrounding marijuana science and policy. 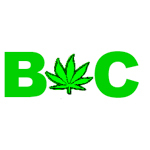 A Canadian publication dedicated to educating the public about hemp and marijuana. They inform the public about the agricultural, environmental, and industrial advantages of growing hemp; and the medicinal uses of marijuana. 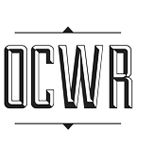 OC Weed Review is an independent publisher for medical marijuana patients in Orange County, California. They share their experiences consuming products and services with the goal of finding the highest quality medication and safest dispensaries in California. Started by an activist in the medical marijuana community, “Old Hippie” began Beyond Chronic as a platform to share his advice on using medical marijuana effectively and responsibly, as well as advocacy and activism. Healthy Hopes’ core mission is to identify chronically ill patients in states where medical cannabis is illegal and provide them with the resources they need to relocate to cannabis-friendly states. 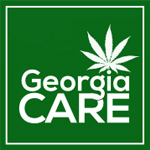 Georgia CARE Project serves as a clearinghouse for information on cannabis law reform, activism and a voice for law reform in Georgia. They work with the public, media and lawmakers in developing responsible legislation to allow adults legal access to marijuana. 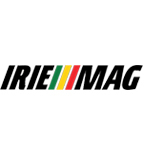 IRIE is a new reggae magazine that aims to redefine “ROOTS, ROCK, REGGAE… and RESPECT!” With a recent launch in Brazil, IRIE aims to become driving force in reggae culture with an expanded online presence. We are always looking for new and exiting publishers to partner with. 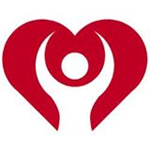 Review our publisher information and when you are ready, apply online.